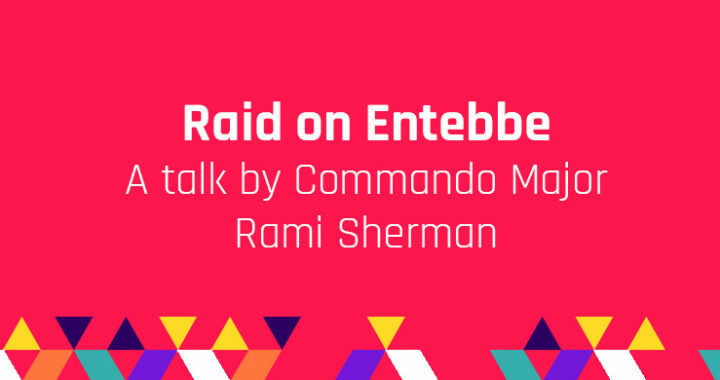 Entebbe Raid Commando, Major Rami Sherman to speak in Bristol, 10th of May at Park Row Synagogue. Marking 40 years from the Raid on Entebbe, we are excited to welcome Major Rami Sherman to speak in Bristol! Hosted by the Park Row Synagogue and supported by the Chief Rabbi’s Centre for Community Excellence. Major Rami Sherman from the IDF Elite Commando Unit will tell the miraculous story of the hijacking, battle for and rescue of Air France flight 139 from Entebbe, Uganda in 1976 and its relevant message to us in 2017. Admissions: £5 at the door. Students free. Due to the nature of this event we are required to have a list of the attendees in advance. Mutual Responsibility is part of the Jewish People’s DNA. Rami Sherman grew up on kibbutz Lehavot Habashan in the north of Israel and was educated by the kibbutz movement educational system. During his army service, he served in the IDF’s Navy Seal unit from which he was honorably discharged with the rank of Major. In 1976, during the “Entebbe Operation”, Rami served as Yoni Netanyahu’s Operations Officer.